U.S. manufacturing activity expanded for a 15th straight month in November, though growth in the sector has decelerated somewhat over last month, according to new data released this morning by the Institute for Supply Management. The ISM’s report, out today, pegged U.S. factory activity levels at 58.2, compared to the 58.7 reading recorded last month. This doesn’t mean activity is contracting, as any reading over 50 indicates expansion. Rather, growth is happening at a somewhat slower pace compared to the previous month. November marks the 15th consecutive month of growth in the manufacturing sector, and the 102nd month of growth for the U.S. economy overall. The ISM reported new orders, production and employment continue to post strong growth, while other metrics such as supplier deliveries and raw materials inventories are contracting. Customers’ inventories are on the rise, however, and prices are increasing at a slower rate. According to ISM’s survey of supply executives, fourteen of eighteen industries reported growth, with paper products, machinery; transportation equipment; and computer/electronic products; and rubber/plastics, leading growth. Overall, the U.S. manufacturing sector and the economy has been expanding at a steady clip, particularly over the past several months. September’s ISM report showed U.S. manufacturing activity at a 13-year high, and October’s report indicated the nation’s industrial sector was still solidly in expansion mode. This robustness in the nation’s industrial sector corresponds with multiple economic indicators, including 3.1% rise in GDP recorded in the third quarter, and the U.S. unemployment rate dropping to its lowest level in 17 years. Industrial expansion in the U.S. has also been reflected in numerous manufacturing reports compiled by IndustryNet. Over the past month, IndustryNet reported on growing demand at the nation’s machine shops, and an uptick in sales for the wire and cable industry. Construction spending continues to rebound, which has boosted employment in sectors that serve the housing industry like lumber and concrete. Innovation in the manufacturing sector has fostered continued growth in 3-D printing and chemical processing, and has served to supercharge the U.S. battery industry. The ISM report shows the New Orders index edged up a half percentage point to a reading of 64 in November. Fourteen out of eighteen industries reported an uptick in new orders, with electrical equipment; paper products and furniture/related products leading increases. Just two sectors, wood products and textile mills, reported a decrease in new orders. With the nation experiencing 86 straight months of job growth, and the U.S. economy adding 261,000 jobs in the month of November alone, it comes as no surprise that the ISM reports employment in the manufacturing sector has continued on a winning streak. The ISM’s employment index registered 59.7 for November, virtually unchanged from last month’s 59.8 reading. November marks the 14th consecutive month of growth for the employment category. Eleven out of 18 industries reported employment growth, with textiles mills; machinery and computer/electronic products adding the most jobs. The ISM’s Production Index was the winner in this month’s report, surging 2.9% to a 7-year high of 63.9 in November. 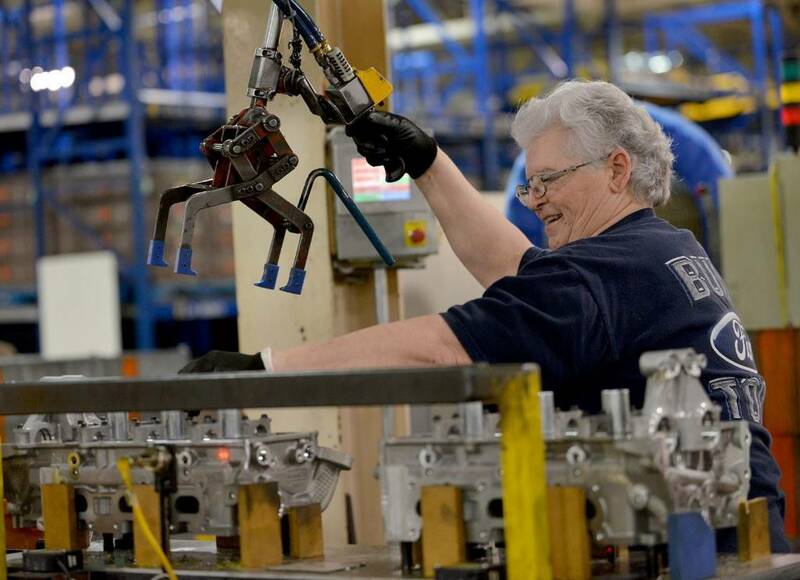 Production levels at U.S. factories have been in expansion territory for 15 consecutive months, corresponding with strong GDP and durable goods reports. Fourteen out of 18 categories reported a rise in production levels, led by paper products, furniture, and plastics. One of the more significant shifts in the ISM’s November report was 4.9% decline in supplier deliveries. Ten industries reported slower deliveries last month, and included apparel, leather & allied products; nonmetallic mineral products, and paper products. A slowdown in supplier deliveries affected the Inventory Index, which fell one percent to 47. Industries with lower inventories included wood products and textiles, while those with higher inventories included printing & related support activities and transportation equipment. The Manufacturing ISM® Report On Business® is based on data compiled from purchasing and supply executives nationwide at the Institute for Supply Management (ISM).